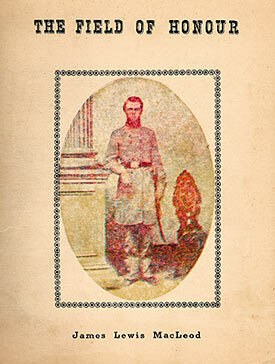 A subtitle reads, “Including a Genealogical and Historical Record of the Forebears of Neill Webster and Henrietta Holleman Macaulay of South Carolina.” The authors state that “this small book is an attempt to provide a sense of history for one family, hoping to touch future generations, that may see themselves as part of a chain of life,” and point out that it is a history of “honour, dignity and goodness” in an American family. The immigrant Ewen Mc Aulay, born in Scotland 5 January 1715, spoke only Gaelic, even after settling in North Carolina, and lived to be 102. Much of the narrative concerning the family, especially during and just after the Confederate War, consists of quotations from letters that have been preserved in the family. The authors mention family traditions, and in some instances show them to be false. Other families treated briefly, as they pertained to the Macaulays, are Grier of Pennsylvania, Heard of Virginia, Holleman and Gaillard of South Carolina, Black, Serre, DuPree, and Sharp. The narrative is lively, though often moralistic. It is a good picture of an upper middle class Southern family. " acted well in their time without hope of fame. They had integrity. Note that some chapter links are not yet active. They will be activated soon! *Scholars note that to protect the privacy of the living, descendents not appear on the web. The 200th anniversary of the United States is approaching. continuity. We believe the nation is in a similar plight. again. It is a tale of our people. haunting stories of Mrs. James Perrin (Eunice Macaulay), Mrs.